Are you in need of quick money? But you are unable to arrange it from bank as personal loan and even if you are able to arrange, the interest rate is very high. 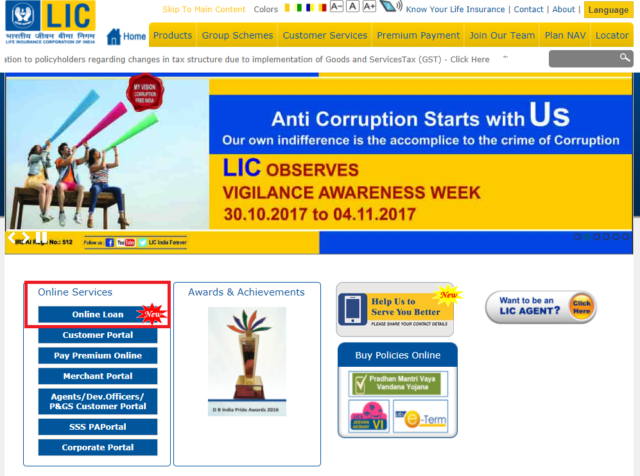 If you have an endowment policy from LIC it can be savior of you. You can take loan from existing LIC policy. You repay the loan with interest or continue with paying the interest part only and the principal amount is to be deducted during policy maturity. 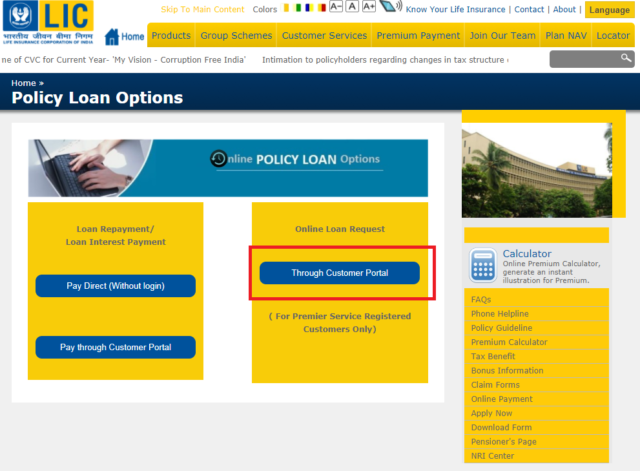 Here is the detailed guide how to take loan on LIC policy. In this post we will discuss loans against LIC policies, structure, Eligibility, interest rate etc. How much can you take Loan on LIC Policy? The maximum loan amount available under the policy is 90%of the surrender value of the policy or 85% in case of paid up policies including cash value of bonus. You can apply for a loan when you complete 3 years of policy period by paying the premium. The existing policy on which you will take loan will be held by LIC as security of the loan. The policy has loan facility or not is mentioned in the policy document. Term Insurance is not applicable for loan facility. Loans are given based on the terms and conditions mentioned in the policy document. The rate of interest charged on loan is decided by LIC every year and they are plan specific. The prevailing interest of the loan is around 10%. Interest on loan is payable half yearly and you can pay it online. If you don’t pay the principal of the loan, the amount will be deducted from the maturity amount of the policy. Six months is the minimum period for which a loan can be granted from the date of its payment. If repayment of loan is done within this period the interest for the minimum period of six months will have to be paid to LIC. In case the policy becomes a claim either by maturity or death within six months from the date of loan, interest will be charged only up to the date of maturity/death. You can apply second loan without repaying the first loan. In this case the combined loan value cannot exceed 90% of surrender value. If the person fails to pay the interest within due date, the interest will be added to the principal and will be calculated again. The facility can be availed online also. The policy should be at least 3 years old with paid premiums. LIC started the online facility of disbursing the loan and repayment of loan online. It will be of great help to many existing policy holders. Click on Online loan option at licindia website. There are options of direct payment of interest or log in to the customer portal. For taking the loan you have to log in through customer portal. If you have account log in with details. In case you did not registered yet sign up with the details. Go to service registration tab and click on premier service registration tab. After signing on the document upload it on the same place along with identity proof. Once your premier service registration is done, you can apply for a loan online. You can take loan even if you have a bad credit score. The credit score will not affect the loan interest rate also. Usually for a personal loan you need to pay more interest if you have relatively low credit score. Interest rate is lower than any personal loan. It is quick and easy. You can get the loan now even quicker due to the online facility. There is no requirement to visit the branch. You can pay the interest and principal at any point of time and through online also. The maximum amount you can get as loan is linked with surrender value. In the initial years of the policy, the surrender value remains low and you will get loan amount less. You may need more amount to fulfill your requirement. You will not get any tax benefit on the loan repayment. There is no tax benefit for personal loan also. The traditional life insurance has not much benefit for an investor. It has low coverage as well as low return. They neither serve the purpose of insurance nor investment. Staying away from these type of insurance is the ideal one. A term insurance which only covers the life risk is the ideal product for most individual to have proper insurance cover and there is no investment part in the term insurance. But if you have already having a policy you can explore this loan opportunity when you need money. You may use this loan as a cheaper option to a personal loan or credit card loan. Moreover, the online facility of taking the loan makes it convenient and easy for policy holders. You may be also interested in the personal loan for self-employed or explore peer to peer lending as other options. If you have already taken a loan against LIC policy share your experiences and if you are thinking about taking the loan, share your thoughts. Share the article to others.